12-Hour Kirtan Schedule Revealed!!! ~ The Toronto Hare Krishna Temple! We are very excited to announce the official schedule for the 12-Hour Kirtan! There is no other better way to prepare for the 43rd Annual Festival of India (Ratha-Yatra) than singing and dancing the famous Hare Krsna mantra for 12 straight hours along with other devotees. 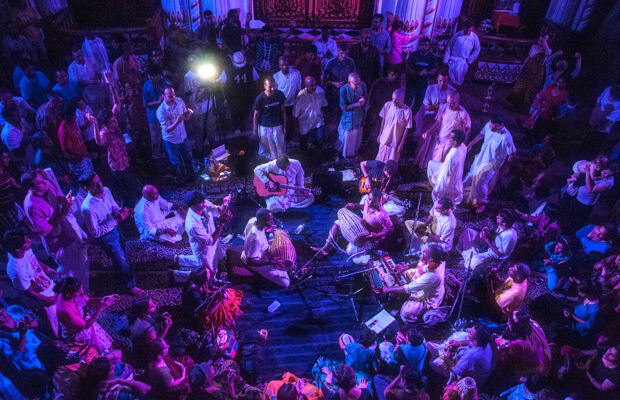 Don’t forget to invite your friends and family to join the 12-Hour Kirtan with us! We are very delighted and anxiously looking forward to seeing you there.